There have been the occational discussion about the Beatles and their relation to beer in the blogsphere, but with rather meagre results. I’ll come back to this when I’ve finished the first volume of Mark Lewisohns comprehensive biography, where I belive there will be information about Liverpool beer and pubs. Meanwhile, here is a photo from Sir Paul’s web site, one of many Linda McCarney photos featured in a new exhibition opening in France in February. We know PR people sometimes drive you nuts. We understand that they can have unrealistic demands or may not respect your time. We want to change that. If you could take 5 minutes and fill out our survey we promise we will get the results into the hands of as many PR people as we can. Our goal is to help PR people learn to communicate more effectively with the blogger world. To show our appreciation we will be sending a $100 Target gift certificate to one participant! Then you can be the first to stop wasting my time. I told you I won’t give any proper coverage of our London visit, but I must mention this particularly. We had spent the afternoon and early evening doing brief stops at a number of pubs. Some of them we knew beforehand, like Cask Pub and Kitchen and the Euston Tap. 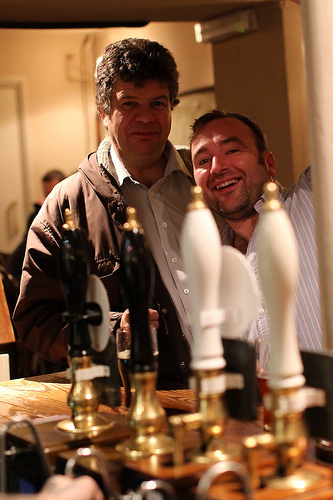 My aim was to end up fairly early in the evening at the Gunmakers Arms, where two of the early activists of the beer blogsphere are to be found, behind the bar, Jeff and Alessio. I was welcomed warmly – I have met Jeff some time over the years, while I was in touch with Alessio during the time I visited Italy fairly frequently. 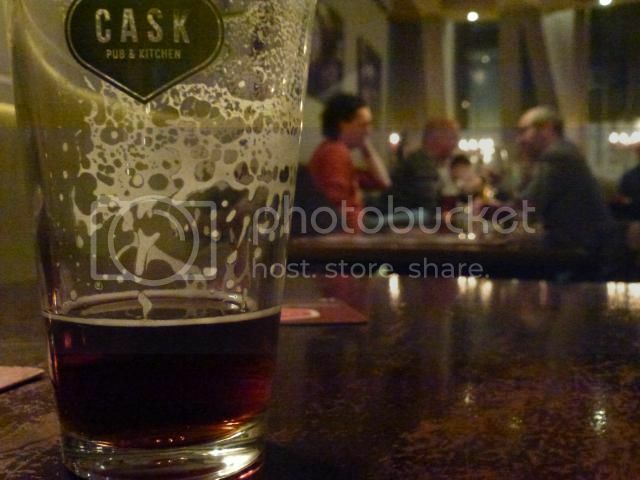 The Gunmakers is still doing very well, with a good range of well kept cask ales. I’m happy to report that Jeff is also opening a new pub in Earls Court, or to be exact, if I got it right, reopening a pub that has been closed for quite some time, the Finsborough Arms. It will not be a brewpub, but in the beer range you’ll find recreations of classic beers unearthed by the legendary Ron Pattison. 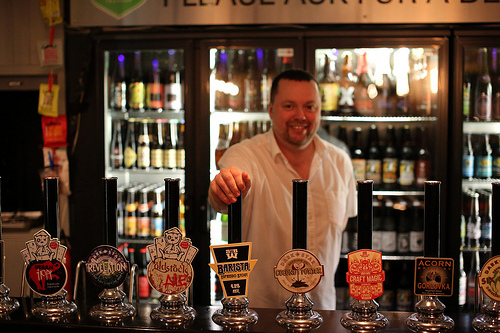 Six keg beers, eight hand pumps. Opening on 28 February. Jeff’s birthday. Jeff even promised that he’ll start blogging again. 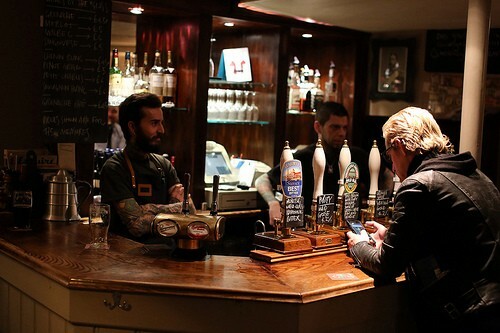 If you want updates, follow @FinboroughArms on twitter. Thanks to Ole Richard for the photos. I am not doing a year in review thing this year, just catching up on a few things I never got around to covering. While staying in Antibes in July, there was some interest in getting away from the beach and doing some sightseeing. 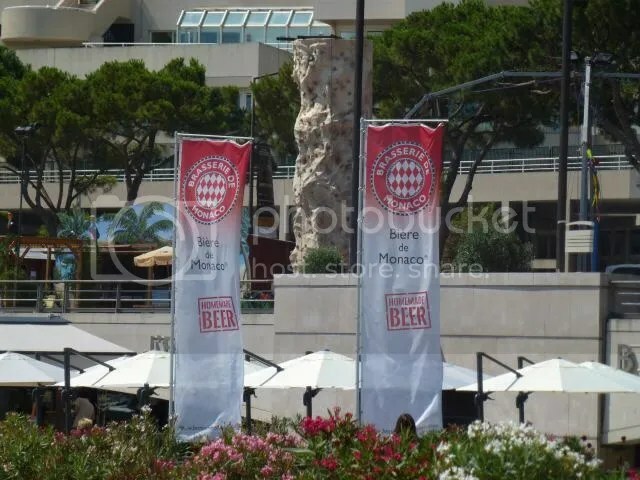 As there was a tiny principality with good train connections about an hour away, we decided Monaco was the place to go. And as I had thought about this beforehand, I knew where we were going for lunch. Brasserie de Monaco is on the waterfront, with fine views of the yachts of the rich and, presumably, famous. Considering the surroundings, it is a inexpensive place to lunch, and the local tarts and cheeses from the snacks menu were really good. Those of the company who ordered burgers seemed content, too. The beers? 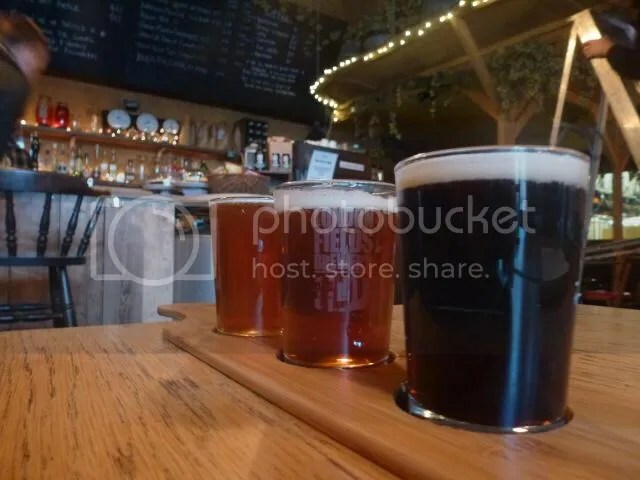 Three of their own brews on tap when I visited, nicely presented in sampler glasses. A wit, an amber and a pils. the amber claiming to be the honey ale brewed at the White House. Rather bland stuff. I’m sure there might be better beer bars in town, but I did not have time to look for them. 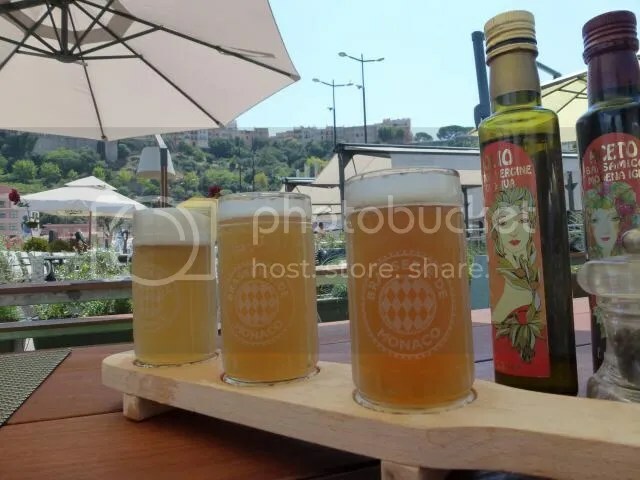 You will want to sit down and relax at some point, and it is unlikely that you’ll find a better lunch at a reasonable price in the harbour area. Easy to find, by the swimming pools.